Life on the ranch is always filled with things that need doing – caring, enjoying, fixing, building, feeding. With the holidays recently past and the New Year upon us, it’s a great time to reflect on what a jam-packed, wonderful year it was in 2015. 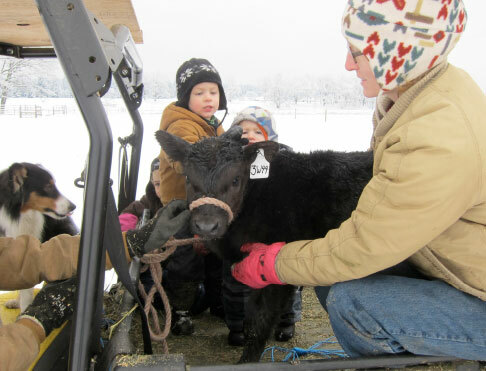 The grandkids help rescue a lost baby calf and give her a ride in the bed of the gator to find her mother-cow. Mom managing the calf, Grandmother driving and Tip, the Aussie, supervising. The little lady seems relaxed as the experience unwinds. Good girl! The best day of the year for a cow – turn-out to the first green grasses of Spring April 11, 2015. 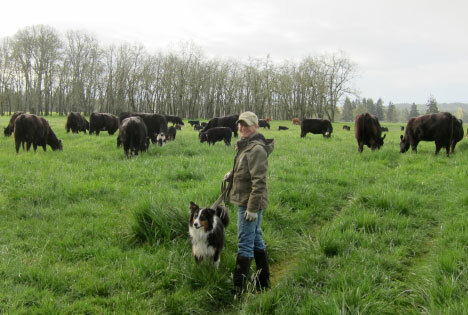 Tip and I enjoy following up the cows now enthusiastically grazing – yummmm!!! Always fences to fix and build. 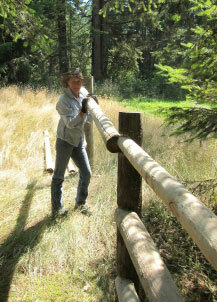 Here I’m captured holding up a rail to be nailed in place. The sun is hot, the grasses dry and shade is a pleasure to behold. 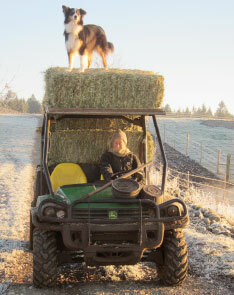 Tip’s favorite place, riding outlook on the top of the highest bale as I head out to a prairie with a load of hay on a frosty morning last November.